What is funnier than a vegetable? A vegetable joke, of course! Seriously … this collection will have you wishing your parents would serve you more veggies, just so that you can get a few laughs at the dinner table. And if you come up with any of your own salady jokes, be sure to leave them in the comment box. What do you call a carrot with 4 equal sides? What do you get if you cross a dog with a vegetable? What do you say to a loud vegetable? Why did the pirate wear a lettuce leaf over his eye? Why did the beetroot nearly dye? What are baby parsnips called? What do you get if you plant your feet in soil? What do you give a vegetable on Valentine’s day? What did the salad say when it was locked out? Why did Popeye get dizzy? What does a vegetable do when it can’t get to the toilet? 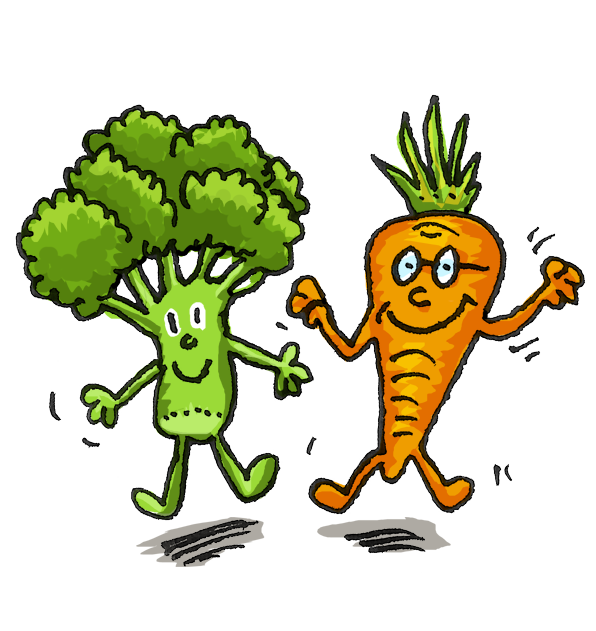 Laughing is as important as eating vegetables. Make sure you get your 5-giggles-a-day by reading Tom E. Moffatt’s books.